Might cause them to curse and defame less. A recent incident in the "twitterverse", in which a financial journalist revealed the name of a vexatious financial blogger, has renewed the debate about the merits of anonymous or pseudonymous online posting. Dr. 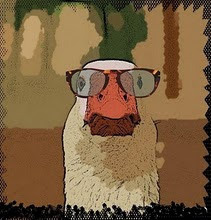 Goose, who is pseudonymous but not anonymous, is posting here in response to a pseudonymous and anonymous post in the financial market blog Zero Hedge.